Former NHL president John A. Ziegler Jr. stepped down from his role in 1992. Ziegler died on Thursday. The league's fourth president was the first American to run the NHL. He was in charge of the league from 1977 to 1992. "The NHL family was saddened to learn of the passing of former League President John Ziegler," NHL commissioner Gary Bettman said in a news release. "From 1977 until 1992, as just the fourth president in NHL history, John oversaw the growth of the League from 18 to 24 teams, including the 1979 addition of four teams from the WHA. He was instrumental in the NHL's transition to becoming a more international League - during his tenure, the share of European-born players in the NHL grew from two to 11 percent, players from the former Soviet Union first entered the League and games between NHL and European Clubs became a nearly annual tradition." The Grosse Pointe, Mich., native played amateur hockey from 1949 to 1969. He began his association with the NFL by doing legal work for Olympia Stadium and the Detroit Red Wings. He later became more involved with the Red Wings and served as the franchise's vice president, general counsel and alternate governor on the League's Board of Governors from 1970 to 1977. Ziegler was elected chairman of the league's board in 1976. 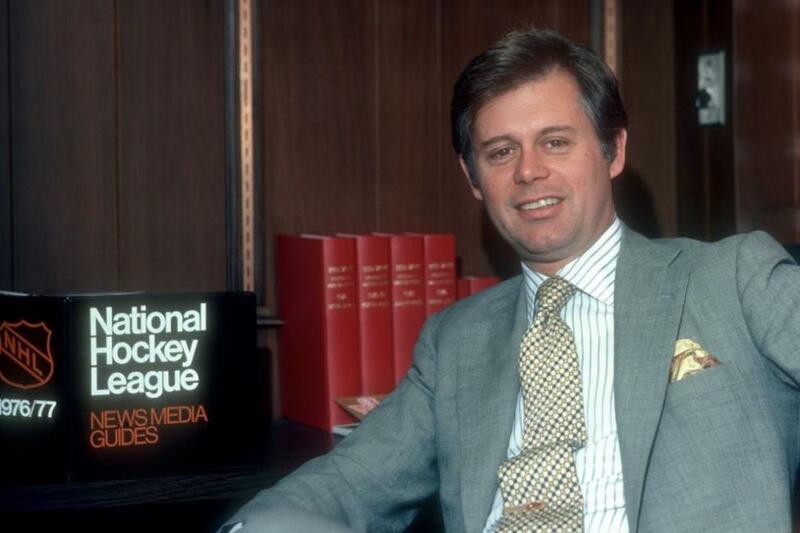 He was elected as NHL president and chief executive officer in 1977. "On a personal note, John provided invaluable counsel during my early days as commissioner and was always generous with his time," Bettman said. "His life of service to our game was recognized in 1984 with the awarding of the Lester Patrick Trophy and in 1987 with induction into the Hockey Hall of Fame. On behalf of the NHL's Board of Governors, we extend our deepest sympathies to his entire family and many friends." Ziegler stepped down in June of 1992, leading the way for Bettman to become the league's first commissioner in 1993.